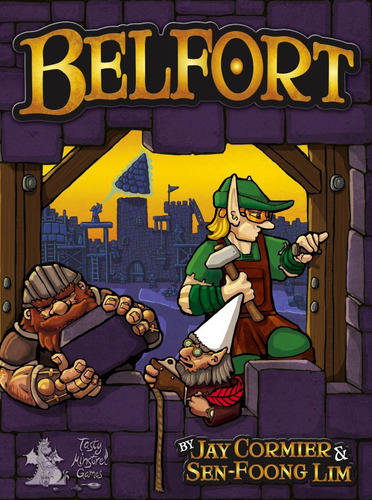 Interview with the designers of Belfort! Jeff Temple, who has teamed up with the infamous board game reviewer Ender Wiggins (seriously – have you seen their reviews? They’re extremely thorough to say the least. Examples here.) has interviewed the also infamous duo known as Sen and Jay! Check out the interview and also the link within the interview that takes you to a 10 minute Youtube video of Sen and I explaining and showing some prototype examples of the history of how Belfort came to be! This was a great interview for us – thanks Jeff! Belfort is currently, as of this writing, the 5th hottest game in the Hotness List on boardgamegeek.com! This is just a fluctuating list that tracks which games have the most activity on their pages. Lots of people are interested apparently. Not only that, but on the people side of the Hotness List, both Sen and I are hot. For some strange reason, Sen is hotter than I am! On June 1st, Belfort was at the Printers being printed! We’ve been told that it takes 28 days to get everything printed and fully boxed. Then it gets placed on a boat and is shipped to America, and that takes another 30 days. That means Belfort should hit America around August 1st. Some time will be needed for it to get to the distributors and then even more time to get it up to Canada for our Canadian readers out there. Still, we’re expecting to have it in our hands sometime in August! If you can’t wait that long for a taste of Belfort then, you can check out the final rules with all the amazing art from Josh Cappel. They are posted on the new Tasty Minstrel website (which is much more functional than their last site! ): http://playtmg.com/products/belfort. If you’ve been interested in the game but wanted to know how it works, then give them a read! 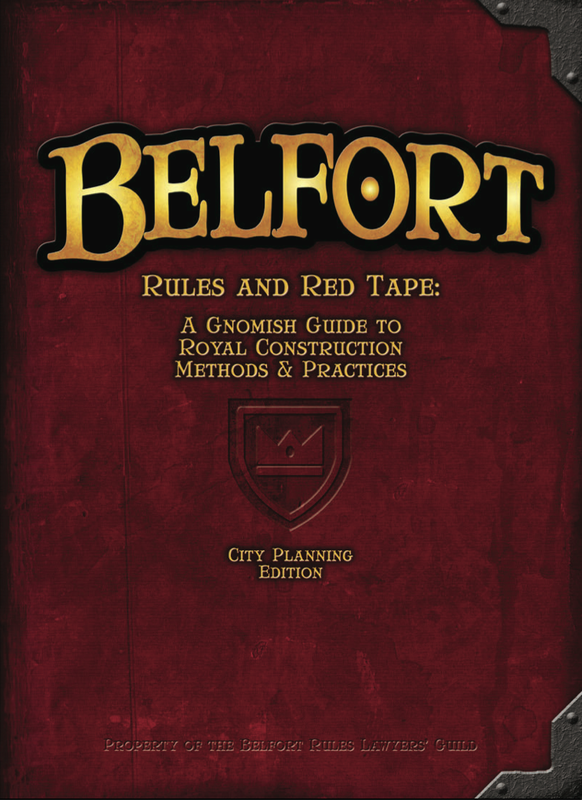 Pre-orders for Belfort – even for Canadians! These rates are non-negotiable. They are as low as I can afford to make them, and I will continue to learn about how to get better rates. These rates do not include any import taxes or duties imposed by your home country. I will not make any adjustments to the stated value of the games to help you avoid those import taxes or duties. You will need to address that through the political process afforded in your home country. Yes, you can combine orders of multiple games from multiple people for combined shipping costs. Up to 25 pounds. Sen and I have finished the script for a promo video to help promote the game and now we’re in the process of getting it animated as it will only feature real people at the end when it zooms out to show people playing the game. Of course we’ll be sharing it here as soon as it’s done – which might even be a bit after the game launches. As I mentioned in a previous post, I’ve partnered up with Tim Reniert to write comic books. We’ve written a bunch of scripts already, but the first one we’ve commissioned an artist to draw is a story set in the world of Belfort. We found an amazing artist, Rob Lundy, who has gone above and beyond our expectations for this story. We’ve seen some rough layouts and are excited about how it’s coming together. 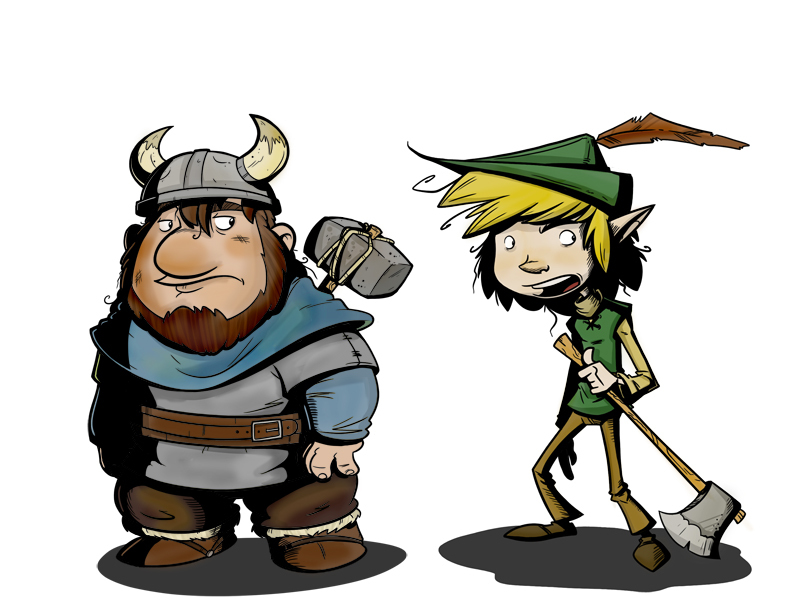 We’ll be sharing more as we progress, but for now, here’s some character art for our two main characters in the story. We’re very excited about this game. As excited as we were for our first game, Train of Thought, I would say that I am twice as excited for this one. Belfort is the kind of game I like to play – the gamery game! We’re in the home stretch now! This is one of the most frustrating steps of game design: waiting for a publisher to playtest your game. Getting a publisher to agree to take a look at your game is a big step, and now you have to wait…and wait…and wait, until you hear back from them. 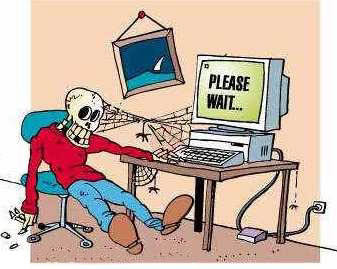 So what can a designer do to lessen the wait period? The number one thing you can do is to set the expectations at the beginning. As designers we get very excited when a publisher shows interest in our game and we often let some things slide. When you’re handing over your prototype over to a publisher, ask them how long they’d like to have it to review. A 2-3 month window should be ample time for a publisher to playtest your game. A great way to bring this up is to ask them how long they’d like to have exclusivity rights to the prototype. This means that you won’t show your game to any other publisher for this period. Some publishers will let you know immediately that they don’t care if you show it to other publishers – which is great for you as you can start showing other publishers right away. Make sure you let the new publisher that your game is already being reviewed by another publisher. It’s very important to be transparent here as your reputation is on the line. If a publisher spends a couple weeks playtesting your game, only to find out that another publisher wants to make it, then they’re not going to like you too much and they won’t want to see any more of your games in the future. Unfortunately sometimes we aren’t this adamant in our initial discussion with a publisher and now they have the game and you’re left wondering when they’re going to play it. Eventually you’re going to get to a point when you’re going to have to contact them again, but watch out – there’s a fine line between following up and becoming a nuisance! Hi , I’m just following up on , the game that I designed and sent to you . We met at and after showing you a sample round, you expressed some interest in playtesting it with your game group. Have you had a chance to give the game a try yet? I’m confident that would be a great fit for because . Sometimes you’ll get a response and sometimes you won’t. When you do, they usually will say that they haven’t had time and will give you an idea about when they’re getting together with their playtest group again. If they don’t respond, well – that can be frustrating. My recommendation is to wait another couple weeks and send another email. It’s very possible that they meant to respond but it slipped off their to-do list. For this second email, it might be a good time to start setting an end date if one wasn’t agreed upon up front. Hi , I’m following up again to see if you have had a chance to playtest yet. I am confident that my game would be a perfect fit for your company, but if you’re not interested, please let me know so I can continue to shop it around. If you still don’t get a response then the third email would usually have a specific end date mentioned. Then at the time specified, let the publisher know you would like the prototype shipped back to you. Don’t make it sound mean – just keep it all business-like. But the one thing you should be doing while you’re waiting to hear back from a publisher: create more games! If you’re serious about board game design, then you shouldn’t put all your eggs in one basket! Start working on your next design. The ultimate goal is to have a game in many different stages, so you’re always working on something at each stage.